I am trying something brand new! 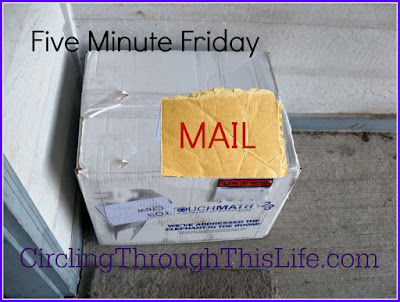 A friend of mine from the Homeschool Review Crew participates in a link up called Five Minute Friday. The link up isn't new at all but it is fairly new to me and I've never joined in before. The idea is that you write for minutes about a one word prompt. This week's word is Mail! When I think of "mail" I suddenly hear Steve's voice singing "Mail Time!" I don't remember the words exactly and I'm refusing to go find it on Youtube. In this world of technology when almost everything is digital it is even more exciting to get a piece of real mail. I don't remember the last time I got a letter in the mail. I mean I got birthday cards for my birthday but a letter? I don't know. These days "Mail Time" means packages. 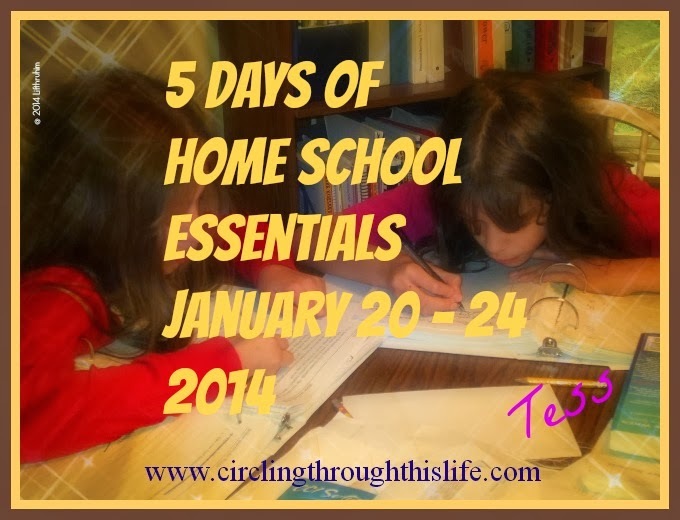 Around here it's usually a box from Amazon or another vendor with a review product for the Homeschool Review Crew. I love getting packages. The girls would get so excited when the doorbell rang and it was UPS or FedEx or maybe in USPS with a box. They were excited because 9 times out 10 it was for them. They associated the brown UPS truck with Sonlight our favorite home school curriculum. I remember Turtlegirl getting so excited when she a UPS truck at a neighbor's house. "Look, mommy, they must use Sonlight, too!" Click on the button below to visit's Kate's blog and read the other Five Minute posts from this week! Welcome to the party! You're going to love Five Minute Fridays. Such a fun concept and a wonderful community. Our kids don't watch Blues Clues anymore but we still sing the 'mail' song and occasionally my husband will say, "Here's your letter!" when he brings the mail inside. Some memories from the preschool years will stay with us forever, I suppose. My oldest (age 16) still sings the mail song from Blues Clues every now and then. Mail is so special. It is a joy when you get the personal letter. Even a card is rare these days. I love this part of FMF - it is memories and encouragement for life. Thanks for sharing, Tess. We love our packages here too!! My girls have pen pals, but I can't remember the last time I received a hand written letter. I have one friend that still sends a Christmas letter with her Christmas card, but the same letter is sent to everyone.